HST photo of Mars showing Olympus and 3 craters of Tharsis area. 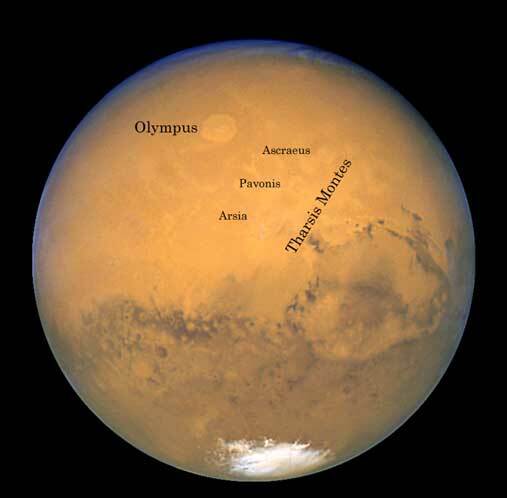 Above: surface of Mars map showing Olympus and Tharsis (left). Below: close-up of the Olympus and Tharsis area. 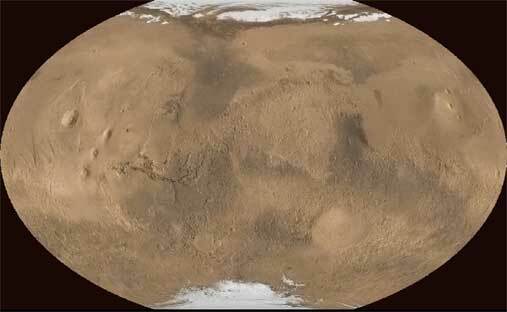 Superimposed satellite image of the pyramids and NASA photo of Tharsis on Mars. Click HERE for the above images at better resolution (JPG 293KB).